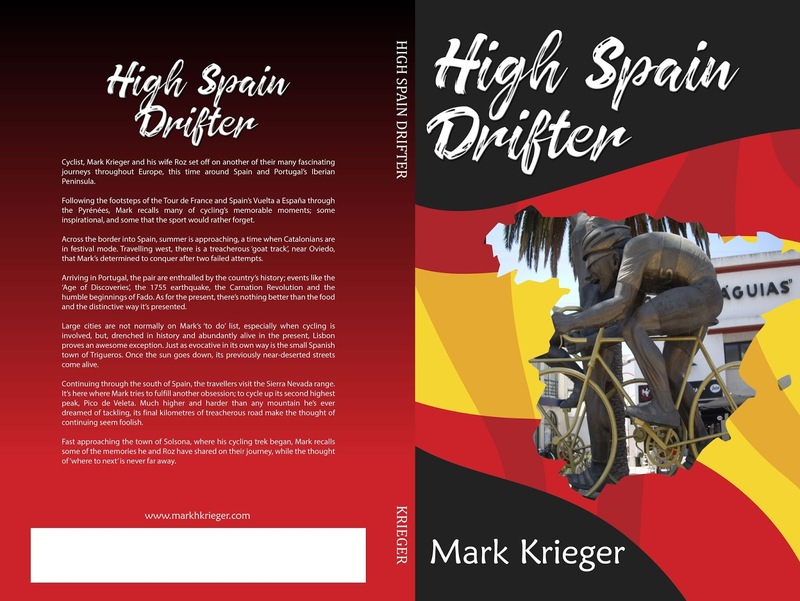 As far as the General Classification is concerned, yesterday's stage (17) of the Vuelta a Espana was even more exciting than the high altitude climbs in Andalucia's Sierra Nevada. Probably for the first time, since Stage 12 of the Tour de France, Chris Froome (along with his Sky teammates) has looked vulnerable. The door, though still not wide open, is perhaps ajar. Today's 169 kilometre stage, between Suances and Santo Toribio de Liebana, will probably see a more familiar Sky in charge of the peloton. Three category 3 climbs and one category 2, will hardly cause mayhem in the camp; perhaps barring the final moments, very steep moments, up the Alto de Santo Toribio. The first of the 4 climbs is the Collada de Carmona, a category 3 climb from Valle. The AS-114 road towards Cangas de Onis. Further west is the Picos de Europa National Park, one of the most photographed places in Spain. Hardly surprising, it’s a Mecca for cyclists who over the summer months especially, come in droves to travel along its beautiful triangle of roads boasting 7 and 8% gradients. The pick of the crop is of course, the Lagos de Covadonga, which is one of the most often used climbs in the Vuelta a España. Not introduced to the Spanish Tour until 1983, it has appeared 18 times since, the most recent being in 2014, when Polish rider Przemysław Niemiec, became the first to reach its mythical summit. While my ride through the Picos de Europa wasn’t anywhere near as triumphant as Przemysław Niemiec’s stage 15 victory, it was nevertheless memorable. Virtually downhill from the top of the Collada de Carmona to the village of Panes, the quiet secondary road, the CA-181, meandered effortlessly along the Río Nansa for much of the way. Not far from the end of its own journey, the river travels almost 50 kilometres from the foot of the Sierra de Pena Labra to the Bay of Biscay. Passing one of its four dams, the Pelombera Reservoir, in all its splendour, it never dawned on me that the waterway would be a cause for debate within Cantabria and wider Spain. For well over a decade, environmental groups have been applying pressure in relation to the problems caused by the Nansa’s four reservoirs and accompanying hydroelectric plants that divert much of the flow away from the river and its tributaries. What might be a fine, deeply flowing watercourse in some sections, has evidently become a completely dry riverbed in others. As a result, many species of fish, particularly salmon, trout and lamprey, which were once abundant in the river before the construction of the dams in the middle of the last century, have become extinct or have disappeared further upstream. Nevertheless, the collaborative voice of anglers and environmentalists alike, has resulted in some progress being made. Throughout the past decade, more than 50 small dams have been removed in Spain, predominantly from its northern rivers to protect its supply of salmon and to reduce the risk of flooding. Larger dams, like Pelombera were also under review as far back as 2009 but judging from the amount of water being discharged from its spillways, it seems that economic pragmatism has clearly won the day. One of four power stations operated by the company, Saltos de Nansa, it’s still supplying hydro-electric power to customers throughout the valley more than six years later. 13th Century 'Roman' Bridge over the Sella River. While unremarkable in its own skin, Panes at least has something special about it; it’s the north-eastern gateway to the Picos de Europa National Park and, to the north-west, the Sierra de Cuera. Lying in between the two mountain ranges is 54 kilometres of breathtaking road along the AS-114. By far the most popular attraction along the route is the Garganta del Cares (Cares Gorge) trail which follows the precipitous division between the Picos’ central massif and Macizo El Cornión to the west. Two hundred metres of steady climbing from Arenas de Cabrales, the meeting point of the Cares and Casaño rivers, is a small price to pay for the views below and the 28 kilometres of gentle downhill road that lay ahead.